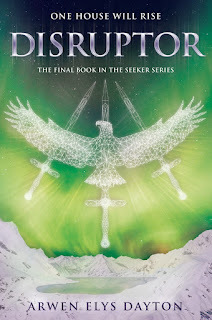 For readers of Sarah J. Maas and of Marie Lu’s Legend trilogy comes Disruptor, the sequel to Traveler and the thrilling conclusion to the Seeker series. But Quin will no longer be a pawn. She’s a Seeker, who stands for light in a shadowy world. She will face the vengeance of the past and its enemies and save herself and the ones she loves, or she will die trying. 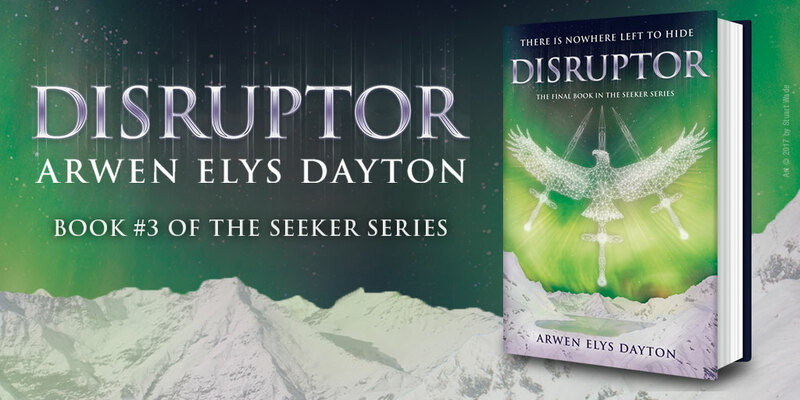 Today I welcome Arwen to the blog for an interview! Action films: yay or nay? If yay, your favorite, why? Oh, yay for sure. Some of my favorite movies are action films—as long as they are clever and feel real, I’m in. It’s hard to pick one favorite, so I will say that Aliens and The Bourne Identity are nearly perfect films in my mind. If you could be one of your characters, which one would you choose and why? This is such a tough question. I’m going to go with the entirely unexpected and choose John. Why? Because John, at the beginning of Seeker, apparently has everything—the girl, the wealthy family, the good looks—and yet he actually has nothing. What he chooses to do in this situation (admittedly he doesn’t make very good choices) shapes the whole book series. I still hold out hope that John can change into the person he’s meant to be. Your interviewing for a job at an ice cream factory, they ask you to come up with your own flavor based on your series, what do you call it and what's in it? Classic Seeker: mint ice cream with dark ribbons of almost bitter chocolate twisting through it, and surprising pockets of golden nougat that keep you reaching for more. You're visiting an 8th grade class and they need to read a classic fantasy novel based on your recommendation. Which book do you recommend to them? My name is Arwen, so I feel as if I’m supposed to say The Lord of the Rings, which is the origin of my name. Of course these imaginary 8th graders should read Tolkien’s books. But… I can’t get Patrick Rothfuss’s The Name of the Wind out of my mind right now and also Anne McCaffrey’s Dragonriders. They should read all of these! If you could choose to travel to 5 places and write books based on those places, where would you go? 1. Shanghai. I need an ultra-modern, crowded city as inspiration for my next project. 2. Tokyo. As with Shanghai, a huge, futuristic, overpopulated city, but with the Japanese aesthetic which makes you feel a little like you’ve landed on another planet. Need! 3. Iceland. 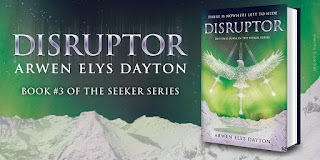 I used Iceland quite a bit as a location in Disruptor. Now I need to go there. 4. Orkney Islands. Because I like cold, desolate beaches, and I guess I didn’t get enough of them in my imaginary trip to Iceland. 5. Pacific Northwest. I am writing a story set in this rainy, gray part of the country. Luckily, I already live here, so all I need to do is look out the window. You have to choose a musical theme for each of your books in your series, which songs do you choose? Tell us 5 things you would be if you weren't a writer. 1. Genetic engineer. We’re at the brink of an entirely different way of being human. With stem cells and other biological advances, this field is science fiction turning real before our eyes. I’m actually writing a book of short stories in this realm. 2. Nuclear physicist. There are new, clean versions of nuclear energy on the horizon with the potential to free us from fossil fuels and provide unlimited energy to everyone in the world. Who wouldn’t want to be part of that? 3. Human rights lawyer. We need more of these right now. 4. Elementary school teacher. I love that age. The kids are blunt and boisterous and still mostly too young to worry about romance and about being cool. Give us 5 pieces of advice you received as a writer that you still keep with you to this day. 1. When you are getting started as a writer or getting started with a new story, give yourself the freedom to write and write and write without a lot of rules. 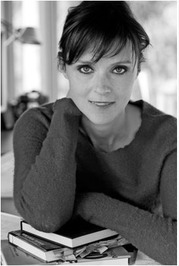 If you try to think everything through up front, you’ll be too burdened to write anything. 2. If you read something you wrote a while ago and think, “I could have done better,” realize that this means you ARE getting better. Your skills and tastes are evolving. 3. If something truly interests and inspires you, others will be drawn to it as well. 4. Similarly, no matter how wild or unexpected or strange at story is, it is as real to the reader as it is to you. Thanks so much for stopping by today, Arwen! It was great having you here!